We are offering a wide range of Rotary Rack Oven to our clients. Our newly designed compact and comet Rack Ovens showcase exceptionally large Baking area with minimum space requirement and also fitted with a steam system which provides high volume and excellent baking for all products, results the best volume, shine, texture and crust in the market. 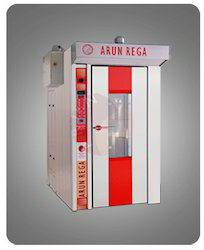 Ashoka machines - all types of bakery machines & rotery rack oven manufacturer in lowest price. We are a manufacturing and supplying a stunning array of Wooden Rotary Rack Oven. • Easy to keep clean & maintain. • Automatic over pressure damper. • Suitable for Breads, Buns, Rolls, French Breads, Biscuits & Cookies. • Side mounted burner assembly for even heat distribution, better baking. 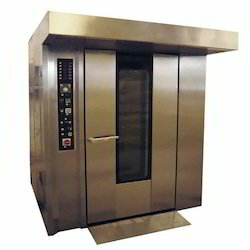 In order to cater the diversified demands of our clients, we have been able to provide a unique range of Rotary Rack Oven.